In Western music, there are twelve pitches within each octave. (The thirteenth note starts the next octave.) But in a tonal piece of music only seven of these notes, the seven notes of a major or minor scale, are used often. In a pentatonic scale, only five of the possible pitches within an octave are used. (So the scale will repeat starting at the sixth tone). The most familiar pentatonic scales are used in much of the music of eastern Asia. 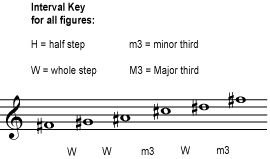 You may be familiar with the scale below as the scale that is produced when you play all the “black keys” on a piano keyboard. But this is not the only possible type of pentatonic scale. Any scale that uses only five notes within one octave is a pentatonic scale. 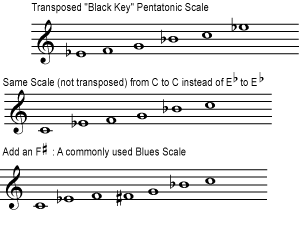 The following pentatonic scale, for example, is not simply another transposition of the “black key” pentatonic scale; the pattern of intervals between the notes is different. Listen to this different pentatonic scale. The point here is that music based on the first pentatonic scale given will sound very different from music based on this pentatonic scale because the relationships between the notes are different. 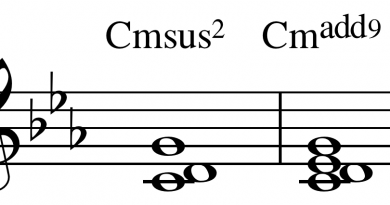 (Much as music in a minor key is noticeably different from music in a major key). But music in the scales that are simply transpositions of each other will sound no different than music in, for example A major or C major. So there are quite a few different possible pentatonic scales that will produce a recognizably “unique sound”. 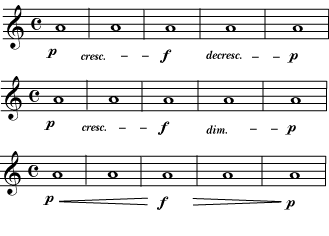 Dividing the Octave, More or Less Any scale will list a certain number of notes within an octave. For major and minor scales, there are seven notes; for pentatonic, five; for a chromatic scale, twelve. Although some divisions are more common than others, any division can be imagined, and many are used in different musical traditions around the world. For example, the classical music of India recognizes twenty-two different possible pitches within an octave; each raga uses five, six, or seven of these possible pitches. (Please see Indian Classical Music: Tuning and Ragas for more on this.) And there are some traditions in Africa that use six or eight notes within an octave. Listen to one possible eight-tone, or octatonic scale. There are many other scales that are not part of the major-minor system; these are often called exotic scales. Some, like pentatonic and octatonic scales, have fewer or more notes per octave, but many have seven tones, just as a major scale does. 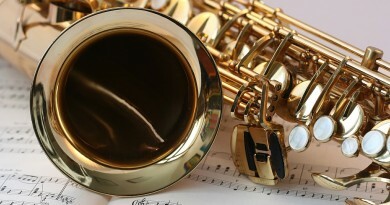 Some, like the whole tone scale, are invented by composers exploring new ideas; some, with names such as “Persian” and “Hungarian”, are based on the music of other cultures. 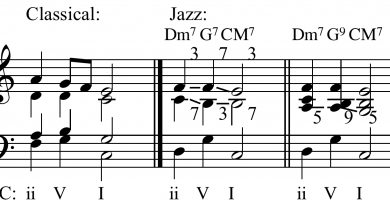 These may be borrowed from music that is essentially modal, but used as a scale in jazz and “world” music. If you want to compose or improvise music, you can experiment with making up new scales, unusual combinations of notes to be used in your music. Or you can look up some of the many exotic scales already in use. (Try a web search for “exotic scales”.) Here are just a few examples of the many possibilities. 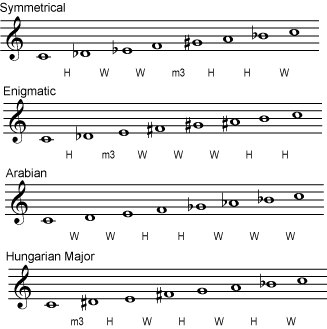 Listen to the symmetrical scale, enigmatic scale, Arabian Scale, and Hungarian Major Scale.